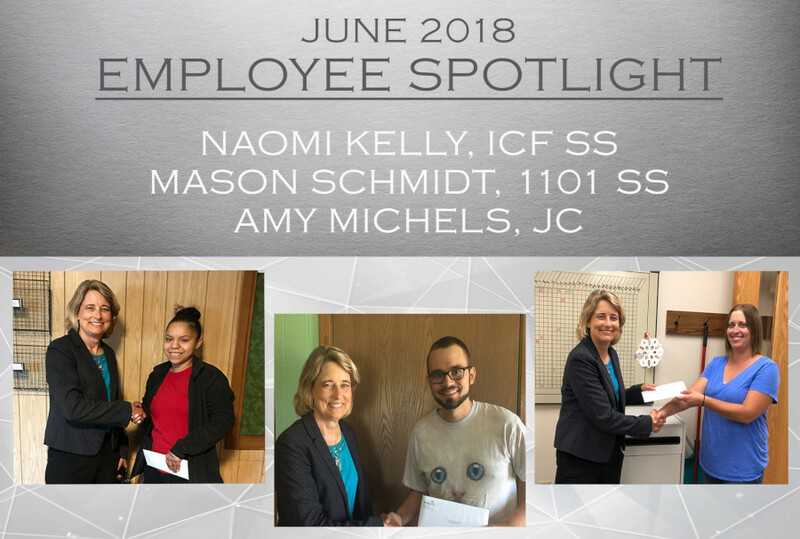 Congrats to June’s Employee Spotlight selections: Naomi Kelly, Mason Schmidt, and Amy Michels! When a PMC requested detailed data in order to monitor the impact of medication changes for a person enrolled at 1005, Naomi took the initiative to take the data that was requested PLUS provided additional relevant information to support adjusting the medications and assist with getting the right dosage. Mason assisted four people at 1101 with completing an art project to commemorate Mother’s Day. The project combined stepping stones and flowers, and is on display outside 1101. The project was also an opportunity for participants to share positive memories of their mothers and work through their feelings during a difficult time. Amy is recognized for her success in explaining the importance of consistent attendance, good hygiene, and teamwork to program participants that are new to community employment settings.